A compelling novel of life in a New Zealand prison. Wiremu Matiti is in trouble with the law again. Desperate to go straight and make a life for his partner and family, a growing list of convictions lands him in prison, and now he’s facing a five-year stretch. But this time, his life will be changed forever. 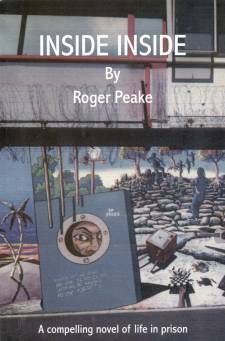 Drawing on his own experiences working with prisoners for nearly 40 years, Roger Peake writes about prison life as it really is, and about the people whose stories are intertwined with the New Zealand justice system. An uplifting ‘real life’ read. [Roger] draws you in, you walk the corridors... into the very bowels of the prison. In his writing Roger offers a positive answer to our nation’s ‘crime problem’.